There are many islands in the whole group of Andaman and Nicobar islands but among them Jolly Buoy is one of the most famous one for tourism. Located near the northern coast of the main Andaman Island Jolly Buoy is a part of two island sightseeing trip set up by the tourism department. The other half of the trip covers the Red Skin Inland. The Jolly Buoy Island and the Red Skin Island both fall in under the region of the Mahatma Gandhi National Park. 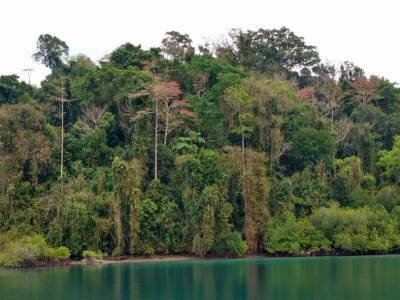 The Mahatma Gandhi National Park is located in the northern part of the main Andaman Island that covers the Jarwa Forest. 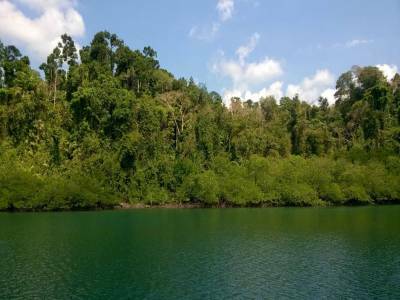 On traversing through the forest the travelers will reach the Baratang Jetty that is almost 30 KM away from the capital city of Port Blair. 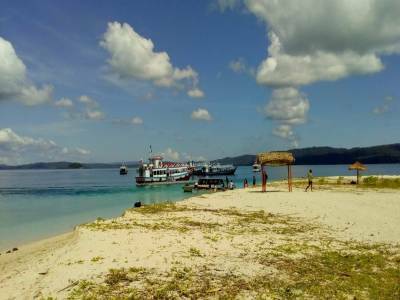 The most famous place in Baratang Jetty is the Wandoor Beach which is the gateway to the Jolly Buoy Island. The trip to the Jolly Buoy Island is a trip to remember by. The only form of commutating is by the ferry service through the sea line between islands. 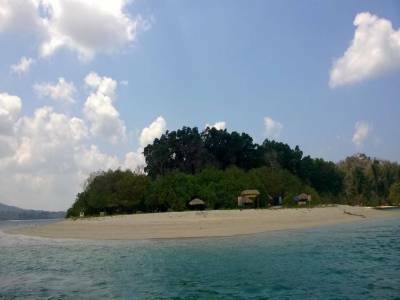 The Jolly Buoy Island is an end of the world sort of island, mostly barren with patches of coastal forest in the pristine white beach. The corals found in and around the island is the beauty of this island. The scenic beauty of the Jolly Buoy Island is off the charts. It is surrounded by many green islands, blue sea and subterranean coral beds. People visiting the Jolly Buoy Inland engage in different water sporting activities of which scuba diving and snorkelling is the most popular ones. The only commutations options being the ferry service, the Jolly Buoy Island has an opening time at 9 am and a closing hour at 2 pm. 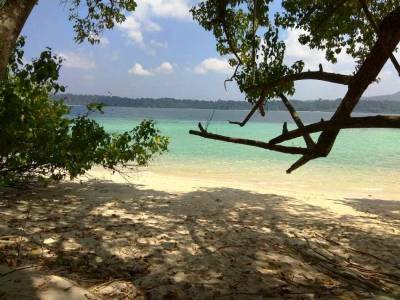 The visit to the Jolly Buoy Island is one of the most exotic trips of Andaman & Nicobar tourism. Get quick answers from travelers who visit to Jolly Buoy Island.